As Apple just unveiled its most recent piece of technology, the iPhone 6, the internet has been in a frenzy over the news, with such a large event, it only seems natural for cybercriminals to begin abusing the iPhone 6 news. Attackers have once again taken to Facebook with their most recent scam regarding the new technology, just days after Apple unveiled its latest iPhone 6 and iPhone 6 Plus devices. Once the user completes the two activities they are prompted to download the application, which opens a pop-up and requires the user to complete a survey before they can download the application. Surveys typically include sharing personal information such as your name, address, phone number, email address, and sometimes even finical information. All of the information is collected by third-party’s and is extremely valuable to marketers. Commonly surveys will ask users to input their mobile phone number for free digital items but instead subscribe the phone to an expensive text messaging services or similar. The same goes with other information input, marketers will be able to sell or commit other activities with the obtained data. While the survey is “free” on the users behalf, the scammers make money for every survey completed through common Pay-per-Download (PPD) or affiliate marketing schemes. What commonly happens is a user will go ahead and complete a survey, then at the end there will be a minor error preventing the survey from completing, once again, prompting the user to try another survey, which will take the victim in the same loop and double the scammers earnings. No matter how many times the survey is “completed”, the “participation application” will never be downloaded. Facebook has taken proactive measures against the current scam, but only after it accumulated nearly 18,000 likes. We have seen various scams circulate Facebook, such as an alleged Robin Williams Goodbye video, again, coaxing users into liking the fake page, sharing the “news”, then forcing users to download a fake video plugin filled with malicious code to watch the non-existent video. Some scams are extremely obvious, while others appear irresistible allowing victims to easily fall prey, such as a chance to win an iPhone 6. 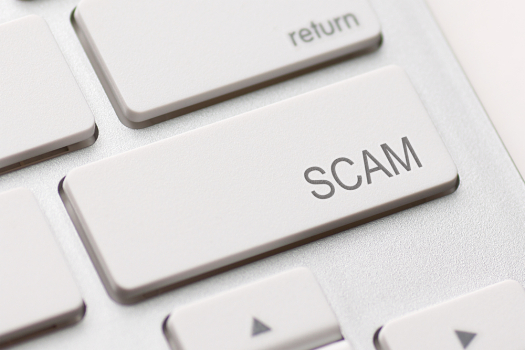 It is no surprise scams are on the rise, attackers now have the ability to reach billions of potential victims with a single message, and their scams are becoming more severe day by day harming more people than imaginable. Regardless of Facebook’s preemptive security measures, the safety and security of social networking remains in the users hands to pay attention to the scams, and many fall victim without ever realizing it. New and trendy topics are the most common target for scammers, it is always recommended to stay on the lookout and resist clicking on tempting links.